A marriage crisis brings all your pain and hurt, seemingly buried for years, screaming at you. You are in pain! You are in a ton of hurt. The pain can be incredible, debilitating and persistent: It just won’t let you go! Nothing in this universe can pile the pain into the depths of your soul quicker and more powerfully than believing that your hopes, your dreams, your love, your trust, your security – your life – might come to an end because your spouse is checking out and your marriage, family and future is crumbling and disintegrating before your very eyes. Probably not what you think you want to do. We can’t stand pain in our culture. We want it over with; done, gone…. NOW, not later! And so, we pop a pill, gulp down a stiff drink, go shopping, try to laugh with our friends, eat until our eyes (or gut) pops out, crawl into our cave, get a reading or even jump into therapy. Anything – to get away from it. We want relief – from the pain of embarrassment, betrayal, our thoughts of failure and inadequacy, being lied to, ignored and a sense that we are cast aside. We want to get away from the pain. We believe we can’t stand it and try to bury it – under something! Buying and consuming give an illusion of having. The gregarious voices of our friends drown our loneliness. Isolating ourselves may create an alternative and less threatening world. 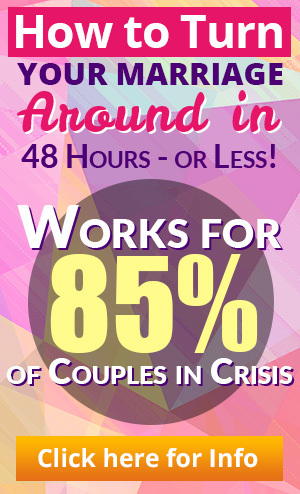 I’ve accumulated thousands of hours for direct counseling with couples and individuals over the years and it is indeed common, for those wanting therapy or counseling, to look for relief from their pain. Bottom line: that’s what they want. Do your magic and help me feel better! And, often, after an individual or couple finds relief from their pain, usually through catharsis, they discontinue their sessions and are on their way. They buried the pain. But the elephant still sits there. Later I find them in my office again, recycling back to the same pain or hear from someone that the marriage or person, fell apart – again. Now, I’m all for feeling better. I don’t like pain. I don’t like others to be in pain. And I want to help you not experience your anguish and emotional torture. Is it a sign of weakness? A defect? A loss of control? An outside force over which you have no control? A personal embarrassment? A sign of mental illness? Your pain is merely a part of you distressed and wanting something different. Your pain is trying to tell you something. Your pain wants you to listen. Your pain CAN be your best friend. Body builders sometimes use the phrase “No pain, No gain.” There is a kernel of truth in that statement. Your pain wants something different. Your pain is moving you into an arena of betterness. 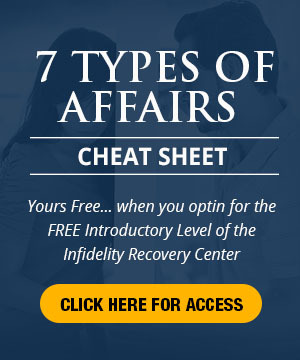 One of my coaching clients discovered her husband was having an affair. For most of the session she talked about him: what he was doing and not doing, what she wanted from him, how to stop him, how to win him back, wanting her marriage back, how much she loved him even though he was betraying her and how miserable her life was without him. Her words were punctuated with sobs and an agitated quiet anger. She couldn’t sleep, couldn’t eat and could not get him out of her mind. She oozed an aura of misery and pain. She didn’t know what to say. Silence. But, she was on her way to healing and resolution. It began. She began to make the shift to acknowledge and even welcome the pain. The outcome: She felt immensely better (and I suppose a little empowered) after our conversation. There was hope, for Mary! There was a little sliver of peace, for Mary. Her world, her feelings and even her perception of her cheating husband began to change. Pain is merely a part of you wanting something different. Your pain calls attention to what you truly want. Your pain won’t kill you. Your pain will lead you. This entry was posted in Dr. Huizenga's Blog Posts, Emotional Distance, Emotional Infidelity, Infidelity Coaching, Infidelity Marriage, Infidelity Pain, Real Life Infidelity Stories, Self Care, Surviving Infidelity and tagged affair betrayal, affair help, how to survive an affair, hurt from the affair, infidelity hurt, Infidelity Pain. Bookmark the permalink.